BOOK VERSUS FILM: The Shining – Which Is Better? There must be something about the initials S and K. Not only do they stand for one of the world’s greatest authors, they also apply to one of our finest directors. But those two letters aren’t the only thing Stephen King and Stanley Kubrick share. They have both told the same scary story, about an isolated hotel in the mountains, but who tells it better? 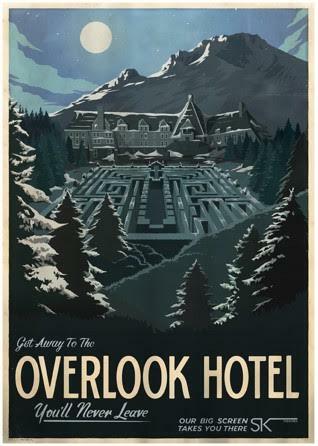 Welcome to the Overlook! 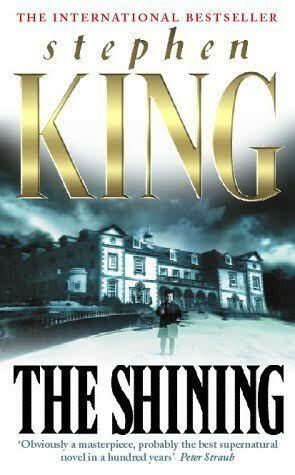 Published in 1977, The Shining is among King’s most personal novels. He created the character of Jack Torrance, a man battling alcoholism, whilst he was facing the same struggle. The location also came from his own experience, though the hotel he and his wife stayed in as it closed up for the winter didn’t come with ghosts. It did have a room 217 though: that’s where King began his third book. At just over 400 pages, the book is perfectly structured into three acts. Act One ends at page 98, as the Torrances take possession of the hotel. The Act Two mid-point straddles the 200-page mark when Danny has his horrifying encounter with the ghost in room 217 (the outcome of which shatters Jack and Wendy’s already fractured relationship). And Act Three commences just before page 300, when Hallorann gets Danny’s SOS, and begins the long journey back to the Overlook. After Salem’s Lot’s large cast, King dials down the main characters to four: Jack, Wendy, Danny and Hallorann. Much of the first act sets up Jack and Wendy, especially his issues with alcohol, and his recent dismissal from a teaching job. Through Danny’s ability to see into his parent’s minds, we learn they came close to a divorce when Jack accidentally broke Danny’s arm during a drunken rage, and discover Jack has considered suicide. It’s a raw, very believable dynamic, and whilst Jack may be the book’s protagonist he’s certainly no hero. He is, however, trying to be a better person for the family he loves. The first danger comes with the wasps’ nest found in the hotel’s roof. Jack kills them all with a bug bomb, presenting the empty nest to an impressed Danny as a gruesome keepsake, but that night the boy wakes to find the colony very much alive… It’s a key scene because it not only establishes Jack as a liability in Wendy and Danny’s eyes, but in ours too – for we are never 100 percent certain he actually did kill all the wasps. There are more horrors to come. A fire-hose that seems alive, like a snake. A presence haunting the kids’ playground. The topiary animals that move when you’re not looking. And Danny’s recurring vision of a mallet swinging Jack chasing him through the hotel. These scenes, along with the wasps’ nest and the scrapbook, have two things in common. They ratchet up the tension, with each new threat looming larger than the last. And they are all, surprisingly, missing from the film. When Stanley Kubrick announced in 1978 that The Shining would be his next film, anticipation was high. He adapted the script himself, along with Diane Johnson, and filled Elstree Studios with truly spectacular sets, allowing the director free reign to craft precisely the film he had in mind. The end result – from its stunning opening landscape shots to the final harrowing chase through the hedge maze – is a visual masterpiece. Made for between $11 and $18 million, and released in 1980, it divided critics at the time but is now considered one of the finest horror films ever made. 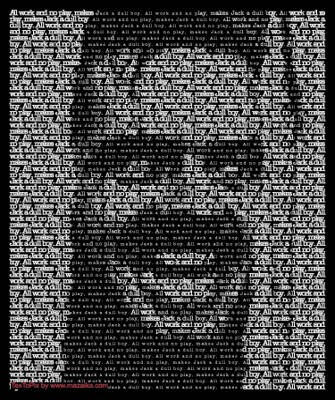 Empire magazine recently placed it at 35 in their 100 Greatest Movies poll (the highest ranked supernatural horror), and Jack Nicholson’s performance as Jack Torrance was voted 25th most memorable villain by the American Film Institute in 2003. So, ‘classic’ feels like an understatement. The set-up follows the book quite faithfully, but by the time the family are alone in the hotel (much sooner now, as almost all Jack’s back-story has been jettisoned) the pacing actually slows down. For much of the film the only bursts of action are several long, single-take shots with the then-new Steadicam stalking Danny though the Overlook’s corridors on his tricycle. The dead woman in Room 217 still appears (though it’s now Room 237) but it’s telling that whenever Jack talks to a ghost he is actually facing a mirror. Even when he’s locked in the larder, the door through which he begs ghostly Grady to release him has a reflective surface. So, how much of this is real, and how much of it is in Jack’s head? In place of King’s scares, Kubrick brings new chills to the Overlook. Danny sees Grady’s twin daughters (and their chopped-up corpses) so there are some ghosts on the loose; and one terrific scene has Wendy find the manuscript Jack’s been working on for months, only to discover it comprises of ‘All work and no play makes Jack a dull boy’, over hundreds of pages. This tells us far more about his unstable psyche than any axe through the door. The way some scenes have been reinterpreted works better on screen too. 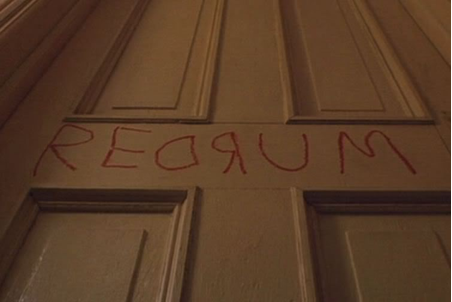 ‘Redrum’ in the book isn’t a surprise because it appears so often that we realise it’s ‘murder’ written backwards long before the reveal. The film wisely gives us the briefest glimpse of the word before having Danny speak it instead – so it’s a shock when we learn the truth. I also think Kubrick’s version of Danny’s assault in Room 217 / 237 is more effective. The book shows the dead woman attacking the boy but the film keeps her appearance hidden until later – and so now we’re treated to Danny stumbling towards his parents, back to camera, and though we know something is wrong we have no idea what until Wendy and Jack find the bruises around his neck… by which time our imaginations have already filled in the terrifying blanks. But what follows this scene sums up exactly why the book and film are so different. In both versions Wendy accuses Jack of inflicting Danny’s bruises. In the film Jack and Danny are not close; their first scene together, driving to the hotel, highlights this disconnect. But in the book, the bond between them is so strong that Wendy feels jealous – and so, after Danny is attacked, she secretly hopes it was Jack. The book’s relationships between the Torrances, the love, loyalties and resentments, are so rich and identifiable that we cannot help but care for all three of them – even when one finally threatens the other two. In the book we want Jack to survive. In the film we want him to die. It’s not just Jack – or Wendy, for that matter – other characters also suffer in translation. Hallorann’s perilous return to the Overlook originally ends with him rescuing Wendy and Danny, a rewarding outcome for the character and a satisfying conclusion for the reader. But the film has him arrive at the hotel only for Jack to put an axe through his heart. The overriding feeling this time is of being cheated. And is it hard to shake the feeling the characters are little more than set dressing for the hotel itself. In showing Jack’s battle against alcohol and his steady descent into madness, Stephen King points a spotlight on mental illness decades before it stopped being a taboo subject. At the heart of any story there must be characters we can relate to – horror especially, because believable characters make an unbelievable story-world seem real. The family in the book make us feel and make us care; the family in the film make us watch – but as voyeurs, for there is no emotional attachment. 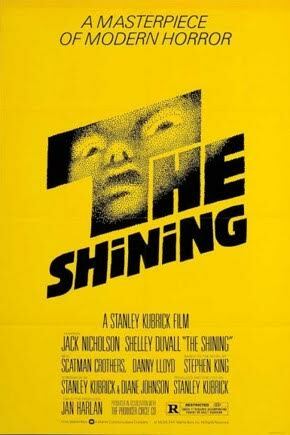 The film is a work of art, but by making Jack both protagonist and antagonist it highlights a serious flaw in its version of the story: Jack doesn’t need the Overlook. From the first moment we see him it’s clear he’s already unhinged – and Wendy and Danny will be in just as much danger if they never go to the isolated hotel in the mountains. So the winner is the book. BIO: Nick Jackson writes horror and science fiction. His most recent work appeared in the dystopian anthology The Anthropocene Chronicles vol 2, available on Amazon. He lives in Leeds, England, and does not wish to hear from anybody offering cheap holidays to remote hotels in the Rockies. I completely agree with this analysis. It is a shame that In the film the characters have been watered down so much. Wendy becomes annoying rather than the strong protective female patriarch she is in the book. I really felt for the struggle of Jack in the book found it similar to the struggle Cujo faces early on. You want him to beat the demons but deep down you know it is futile. It’s heartbreaking to read and therefore makes the story overall more horrific! For me, the film is scored to perfection, and this helped it to gain the notoriety; coupled with the performance of Nicolson it is clear why it is revered the way it is. 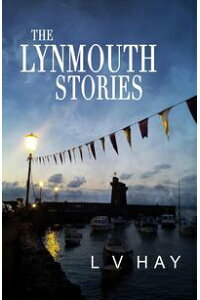 Great reflections really in enjoyed reading this thanks! Just amazing analysis, Nick. Would like to see you do more. Gone Girl. World War Z. Hunger Games. Get going! I will make more of an argument for the movie, though. The book and film are first rate versions of their respective medium’s storytelling. King’s use of language, description, and characterization are pitch perfect. But as is Kubrick’s use of camera angles, lighting, set design, clothing, and score, elements not at King’s disposal. For example, the gallons of blood pouring from the elevator and the helicopter shot of the car driving to the hotel are purely visual storytelling tools that give the film its own particular feeling of foreboding and horror. Kubrick’s use of these are so good that they’re still be analyzed 30+ years later. And while I admit the characters are more fleshed out in the book, I think Kubrick sacrificed them to the altar of his themes, such as oppression of Native Americans (notice how the whole Torrance family wears red, white and blue throughout the movie). Yes, Jack’s alcoholism is only halfway mentioned, but Kubrick decided that wasn’t the story he was telling (King’s TV version incorporated the alcoholism but was dull). Lastly, the ambiguity of what we’re watching (are we always in reality, or are we in Jack’s novel after he starts wearing the red jacket? ), which is given that great coda with the final shot of Jack in 1921, has made the movie stay with me much longer than the book. And that element of timelessness is a major argument for great storytelling. Just food for thought. Thanks again for a great read. I agree with you both! I think I love the movie more than Nick does, though I love the book too. In some ways I just look at them as two different entities – which, in real terms, they are. That said, I absolutely hate Shelley Duval’s performance – though I think she did the VERY best she could with a limited role (which didn’t have a tenth of the nuance of the character in the source material). But within the actual movie, it still works so all’s well.